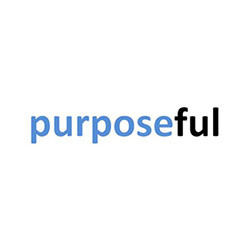 Purposeful is a company which uses its bio- and chemo-informatics expertise to tackle significant problems affecting human health. Their first goal is computational drug repurposing with a focus on rare diseases. The platform solves the problem of crippling costs associated with drug development by predicting what additional effects a marketed agent may have, thus minimizing the number of experiments necessary to carry out before reaching a good repurposing candidate.